Whether drafting a personal statement for college, medical school or law school, most students miss the mark. Here's why!!! In today's video I share the two necessary factors needed for a successful personal statement. Sitting in front of the computer screen ready to write the most important essay of your life can feel like the loneliest, most daunting place. However, with some strategy, knowing what needs to be said where can be the jump start you need. Check out this video for expert tips on how to bring in anecdote and analysis...the secret sauce for a winning personal statement! Visiting College Campuses (TIPS FOR AN AUTHENTIC EXPERIENCE) // Every Spring semester on campus I see a ton of high school students with their parents touring our campus. Walking by I hear the same pitch – and here is the library with hundreds of references and resources, this is 1 of 2 Starbucks on campus and here we have a robotics lab – okay, our campus rocks. However, the tricky part is that no matter the day the speech will be the same; however, the students and families visiting shouldn’t have the same experience. This video will show you key tips to ensure you make your college tour an unforgettable and real experience, showing you and your parents whether THIS IS THE SCHOOL FOR YOU. And, bonus, I share with you a couple habits to keep in mind to then make sure you use the information you receive to elevate the college application essay and why this college supplement. Remember, your personal statement for college, your campus tour and the overall journey is yours to make it your own. Get invested and make this an incredible experience. And don’t forget to find where the best burgers and doughnuts are!!! Planning college visits? 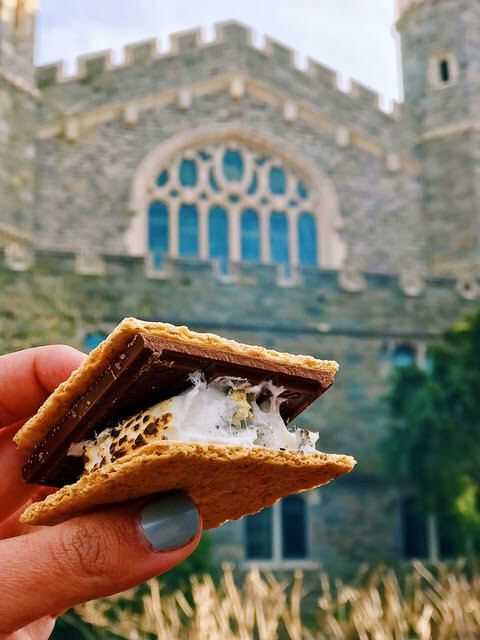 College Scoops provides an insider’s guide for where to eat, stay and explore while visiting college campuses in a mobile-friendly format that is easily accessible on the road. Find the hidden gems from their handpicked student ambassadors and get a feel for what life will be like for your child from students who are already immersed in campus life. College Scoops has over 120 college itineraries online saving parents time, energy and stress. Enjoy the sights and bites!